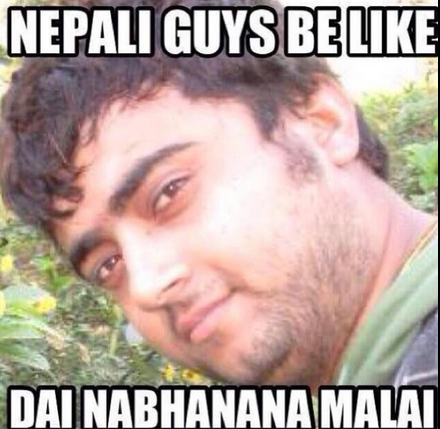 This post is for everyone who belong to the Nepali community, which every guy/girl has faced and can totally relate too. Nepali Kids don't need SWAG when you can have SAAG. When you have a discussion with your parents and you try to prove a point and then you get, 'Mukh Lagchas Ajjai' and you're shut. If you play with fire, you will definitely pee on your bed. What Miley Cyrus did at the VMA's is called "Twerking" in the west and"Mata Utreko" in Nepali. You are considered adult when you turn 18. Your parents won't consider you an adult until you get married. The awkward moment when your relatives are offering you pocket money and even if you want it, you say NO few times and then finally accept it. If you sneeze before leaving, something bad will happen so you have to sneeze again to cancel the first one. Your relatives spy on you so that they can complain to your parents..
We don't get Friend-Zoned. We get Bhai-Zoned. The biggest threat from your mom: Wait till your Dad gets home. If a boy and a girl is walking together somewhere, then they're probably dating. Kucho has two purpose. One to clean the house and the other to beat up kids. You have two zodiac signs, one according to your birthday and one according to your name. 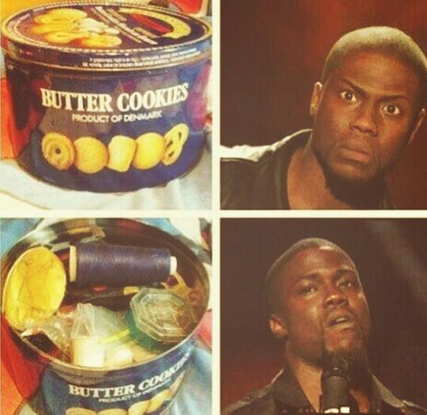 You see a box of cookies and then when you open it, its your mom's sewing kit. 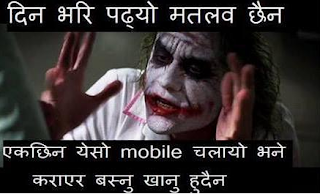 You collected money in dashai and compared it with your cousin and calculated who made the most out of it. Every Nepali party: Drunk uncles dancing weirdly. If your family goes out to dinner with your cousins and all then there is always a tug of war across the table when the bill comes in. 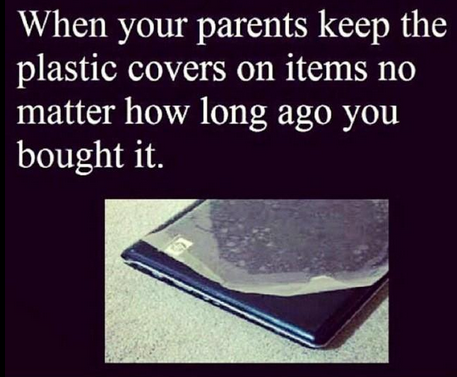 And you're suppose to keep the plastic cover intact. Watching movie with your parents and here comes an explicit scene, everyone starts using their phone as if they don't know. Your parents gets suspicious if u smile looking at you are phone. Going to Deusi n Bhailo not because its a tradition but to earn some cash. The neighbor always has the perfect son. Girl gets nervous because a distant relative saw her holding hands with her boyfriend.